With 20 amazing projects, Star Wars™ Maker Lab teaches your budding Padawan how to become a Master of science, in both the real world and the Star Wars galaxy. 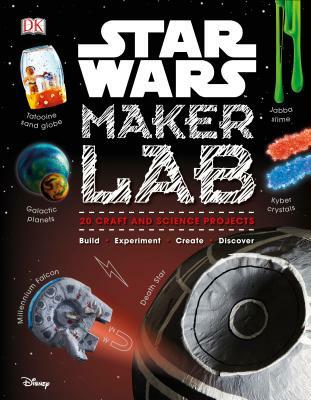 Using clear step-by-step instructions, the book guides home scientists and makers through each exciting experiment–from making Jabba's gooey slime or a hovering landspeeder, to an Ewok catapult and a glowing Gungan Globe of Peace. Each experiment has fact-filled panels to explain the real-world science as well as the Star Wars science fiction from the movies. for 10 years and getting a master's degree in bacteriology at the University of Wisconsin-Madison, Liz started doing science with her three kids, journaling their experiments and adventures on KitchenPantryScientist.com. Marvel.com. By day, he works on Star Wars games at EA and lives in San Francisco with his wife.